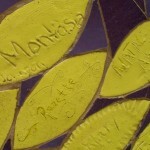 In 2006, a piece was commissioned for the courtyard at the Boys and Girls Club of Flint, Michigan. 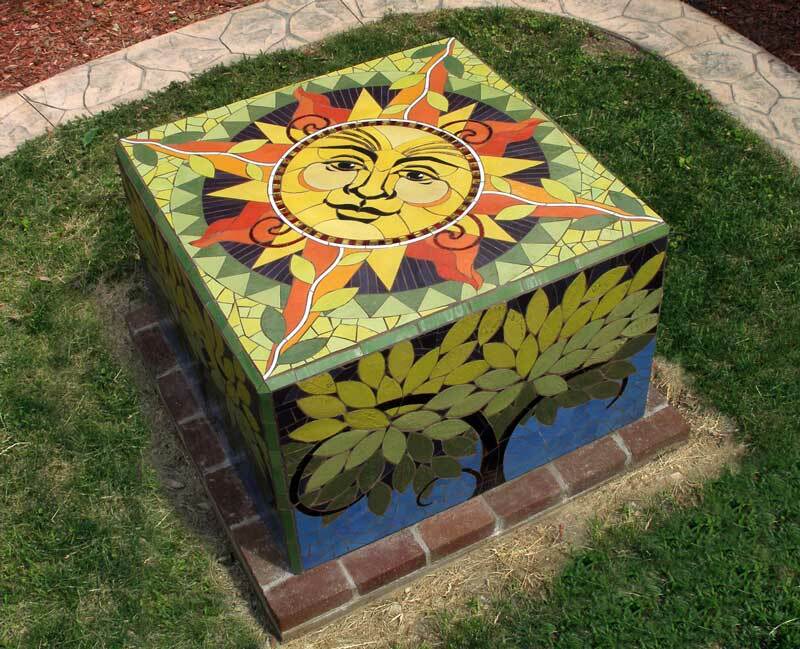 The courtyard is a space where underprivileged urban children learn about the beauty of planting a garden and caring for it. 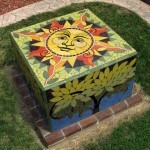 The design, meant to double as an art object and a bench, incorporates a sun face on the top, with trees wrapping all four sides. 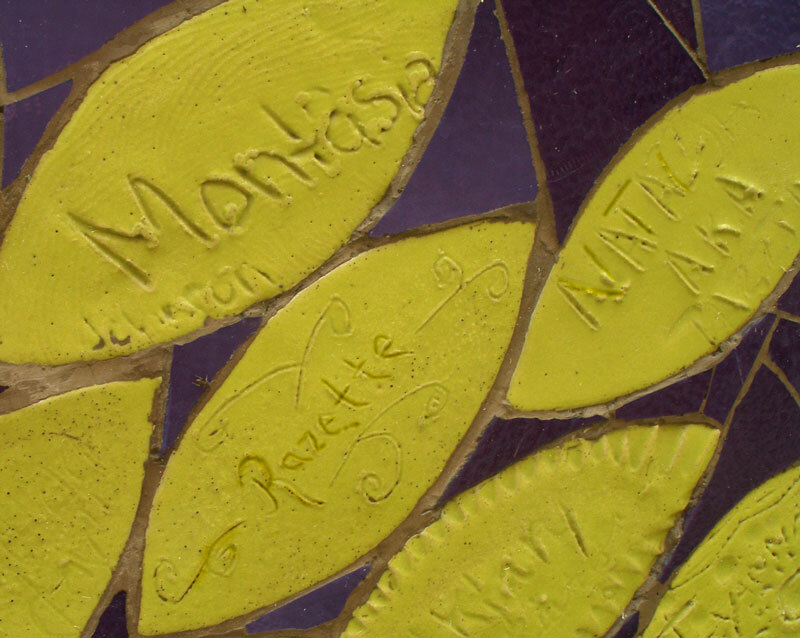 All the leaves on the trees were decorated by the kids, (ages 6-16), who were then able to permanently leave their mark on a piece of art in Flint.